SpringFest 2018. Hosted By SZA. 3:00 pm-10:00 pm. ( 2 Hours Open Bar. From the creators of #BestEffenDayParty & #Winterfest brings you the Biggest Holiday Weekend of the Spring! 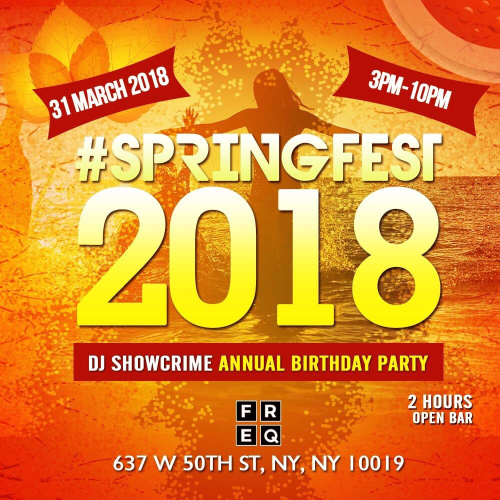 Join us on Easter Weekend For #Springfest18! At NYC's Biggest Venue in the Heart of the City! DJ Self, DJ Showcrime, DJ Punch spin.